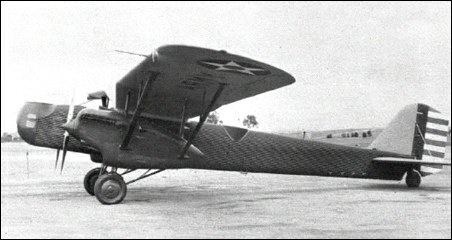 In the late 1920s the US War Department was taking note of developments in aircraft design, such as the technical revolution created by the appearance of all-metal cantilever monoplanes with retractable landing gear. It was decided initially to adopt such features in twin-engined aircraft that were intended for fast long-range reconnaissance, and the War Department ordered two Fokker XO-27 prototypes in this category. Fearing it might lose a valuable source of revenue, Douglas designed an aircraft incorporating such features and in March 1930 received an order for one example each of the Douglas XO-35 and Douglas XO-36. They were intended to differ only in their engines, the former having geared Curtiss Conquerors and the latter a direct-drive version of the same engine. In the event, the XO-36 was redesignated XB-7 and built as a bomber. In a parallel development the second of the Fokker XO-27s was completed as the XB-8 bomber. Later, six YO-27s and six Y1O-27s were delivered to the US Army. 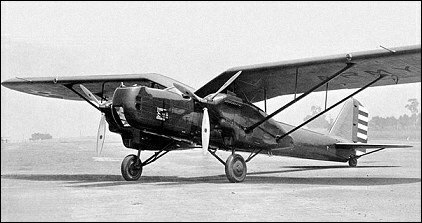 The Douglas XO-35 was test-flown in spring 1931, causing quite a stir among a public used to seeing the lumbering twin-engined biplanes used by the US Army. It was a slim monoplane with a gull wing set high on the fuselage, the main units of its landing gear retracting into streamlined engine nacelles leaving only the lower part of the wheels exposed. The engine nacelles were attached to the wing undersurfaces and fuselage sides by complex strut assemblies, with the fuselage having corrugated metal sheet covering. There were open gunners' cockpits in the nose and amidships; the pilot's open cockpit was located immediately forward of the wing leading edge; and the fourth crew member, the radio-operator, had an enclosed cabin behind the pilot's position. The XB-7 was almost identical, but had underfuselage racks for up to 544kg of bombs. During the US Fiscal Year 1932 orders were placed for seven Y1B-7 and five Y1O-35 service-test aircraft. These differed from the prototypes mainly by having smooth metal sheet covering for the fuselages, and strut- rather than wire-braced horizontal tailplanes. The Y1B-7s, later designated B-7, were attached to the two US Army bombardment squadrons based at March Field, California, while the O-35 aircraft (previously Y1O-35s) flew with observation units. In February 1934 the five O-35s, six surviving B-7s and XO-35 prototype were all assigned to the air mail route linking Wyoming with the west coast of the United States. Operations at night and in bad weather took their toll and in the four-month emergency period during which the US Army ran the nation's air mail service no fewer than four of the B-7s were lost in crashes. Soon afterwards the remaining B-7s and O-35s were relegated to second-line duties, an O-35 being the last to be grounded in February 1939. What an oddly beautiful aircraft. I really like the scheme from the 12th OS, you don't have it here, but has a white front and spinners. I love some of these obscure planes from the period.